Searching for the perfect Class A motorhome to take across the country to explore new sites and try new activities all while putting in a few work hours? Just imagine drinking your morning cup of coffee in the captain's chairs while placing your book on the stow-away coffee table. You might even choose to complete some work at the dash workstation with 110V and 12V outlets while your spouse takes a walk around the RV park. When it's time to make breakfast, you will find full kitchen amenities, plus you can watch the 40" LED TV while dining or relaxing after cooking. You will also find your own king-size bed and a full bathroom, plus extra sleeping space for overnight guests. 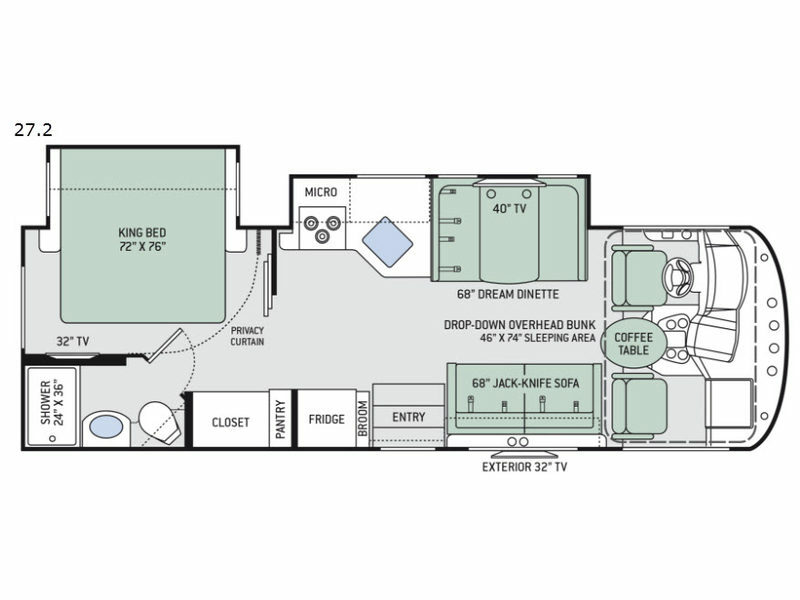 The evolution of a Class A and a Class C motorhome defines each A.C.E. model by Thor Motor Coach. 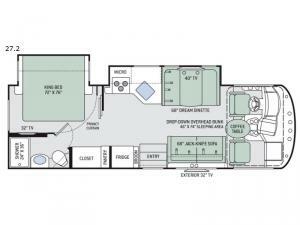 From the power drop-down bunk with a ladder and the elegant fabric collections to the Kibble Station, the Bird's Eye Window, and the Pet-Link multi-purpose tie-down, you will enjoy every single part of the A.C.E. Class A gas motorhome. Choose your favorite layout and start your new adventure tomorrow! Basement Storage 56 cu. ft.